Wise Blog is the wisest Adsense optimized news, blog magazine and shop WordPress theme for all people, especially for bloggers and online entrepreneurs. It is rock-solid and blazing fast. The following document is a detailed user guide to help you get your new website up and running. Please take your time and read through the document comprehensively and earnestly. If you require further assistance, you can reach us through our support forum page. 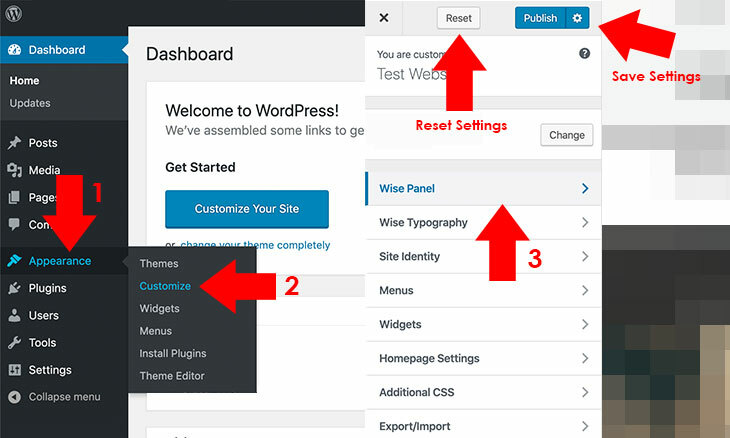 Are you ready to install and launch your WordPress site using Wise Blog theme? Let's get started. This section covers the recommended configuration of this theme which works under a typical installation. Like what our theme is created for, it is light and fast but its speed also varies according the hardware performance of your server, number of site visitors, number of plugins you have installed, etc. Web hosting is essential to every site owners. With a poor server host, you cannot attain the best performance and features for your site. 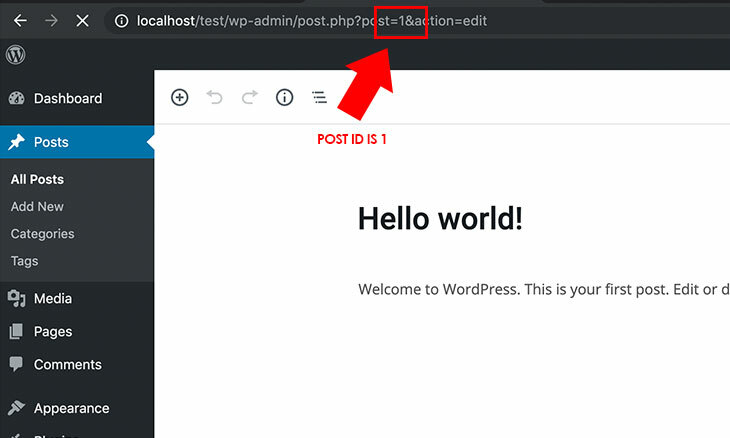 To install, configure and run your WordPress site in a web host, you should first watch out for a fast, secured and reliable WordPress web hosting. There's no perfect web hosting. It's your own choice to choose the best web hosting companies based on your needs. To help you out in choosing the preferred web hosting company, we give you a list of our recommended web hosting. This is the required plugin to be installed to your site. Without this, special church features won't be activated. These are the recommended plugins to be installed for your site. You may opt to install these or not depending on your needs. To speed up your site more, you can use a Content Delivery Network (CDN) like Cloud Flare. Installing a WordPress theme is just easy. You can install it via WordPress or via FTP(File Transfer Protocol) Client. To install the theme, please refer to our blog article, How to Install and Activate a WordPress Theme. Installing a WordPress plugin is just easy. Commonly if it is free, you can browse through plugin page of the WordPress repository or upload it manually (especially for premium from external sources). To install a plugin, please refer to our blog article, How to Install Plugin for WordPress. Our recommended plugins are listed here. After a valid purchase, you are eligible to update your theme using your license to generate API key to be used in Envato Toolkit plugin. You can also manually download the theme file to your ThemeForest dashboard and upload it manually to your WordPress site. To update your theme, please refer to our blog article, How to Update WordPress Themes. 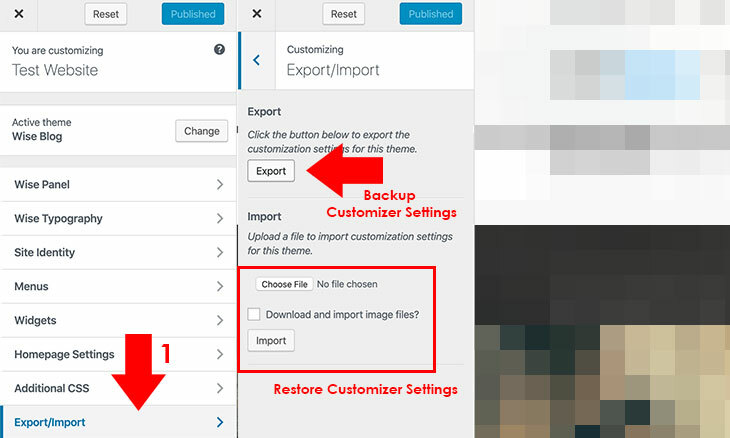 Note: If you are updating a theme, you should always backup your theme settings, contents, and especially widgets to avoid losing your setup and contents (See 3.12 Backup Theme Settings and Contents). There are some instances that you need to re-save or re-configure widgets (home widgets) to avoid error or issue on homepage, especially on major updates which the home widgets are affected. Site images are very important for your site to display your brand. With this theme, you can dynamically change its default images using two methods which is the image replacement method and the upload/URL method. This theme also supports retina display. You can upload images by adding images on the same path with "@2x" at the end of its filename (for example, your image name is image.jpg, add another copy of it with higher quality, preferably twice its resolution, and rename it to image@2x.jpg). To start replacing site images, follow the instructions below. 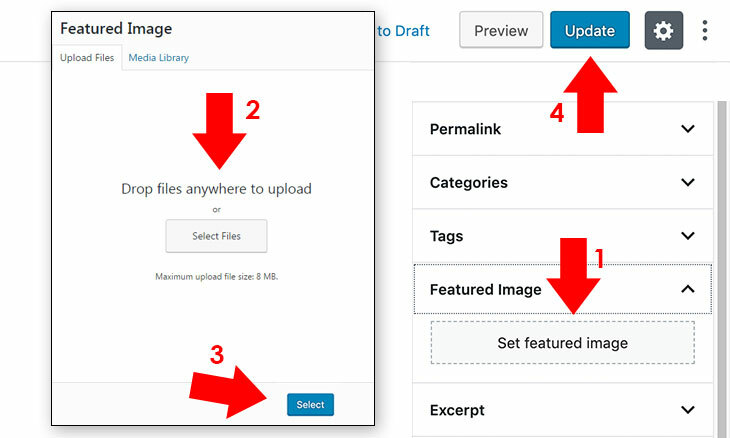 This method uses WordPress upload process. All you need to do is to upload, browse (you can drag images as well) and save. 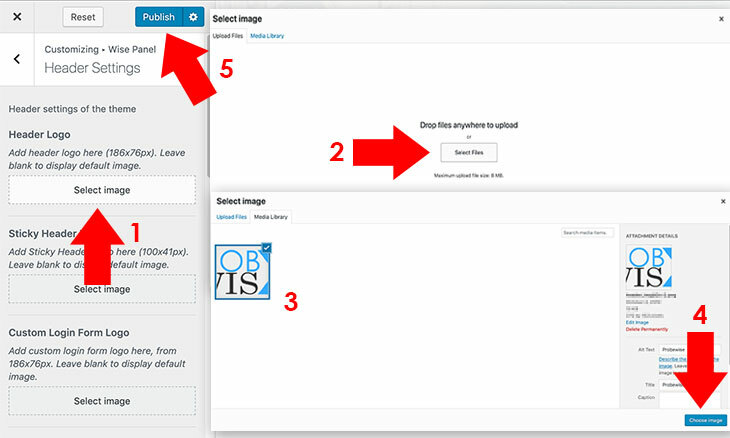 To change your site images, follow the instructions below. Select the image you want to use according to its preferred size by clicking the Upload button, then upload it (You can also add image URL from external sources). Save your settings by clicking Save Changes at the bottom of the panel. This method is just simple to do, but please be reminded that this overrides the default images on your parent theme and if you want to update the theme, the img directory should be backed up first. From your purchased theme directory which includes psd+logo+default_images, create your images using Photoshop and save it to all_images folder. Copy all your images and navigate to your img directory of the theme. Replace the default images from the folder by pasting the copied images. Creating WordPress menus is just simple. Generally, menus are created for navigation and this theme uses seven menus for Primary Menu, Secondary menu, Sitelinks First Column, Sitelinks Second Column, Footer Menu, bbPress Menu and WooCommerce menu. To create menus, please refer to our blog article, How to Create WordPress Navigation Menu. This theme uses a page to create a homepage. It doesn't uses external plugins or page builders but being lightweight, it uses the native WordPress widgets feature which you can dynamically assign to the desired page. To begin creating your desired homepage, follow the instructions below. Note: To use Homepage and Sidebar Selector, you need to install and activate Classic Editor for WordPress. Create a new page from Pages Add New, then add a title like for example, Homepage. Create a new widget column from Select Homepage Add New, add name, for example Homepage Column. For homepage sidebar, choose or create a new widget column from Select Sidebar. Note: You can also add a widget column from Appearance Widgets Add Widget Column. Click Publish button to create your new page. Note: You can also add Trending/News Ticker using #Home - Wise Ticker to your homepage or other pages in Top Document Widget Column. Adsense or other ads code can also be added as much as you want between homepage widgets on homepage column using #Wise Ads for homepage/pages. To add or delete widgets, please refer to our blog article, How to Add or Delete WordPress Widgets. Remember: Don't use #Home widgets anywhere else, use it for homepage/page column only. Placing it other than homepage/page column may break the theme. Note: If you are translating the theme, you should leave the title or any translatable text/textarea blank. There's no need to input your desired title/text on the field as long as you are using the translated file from .pot file provided on this theme. 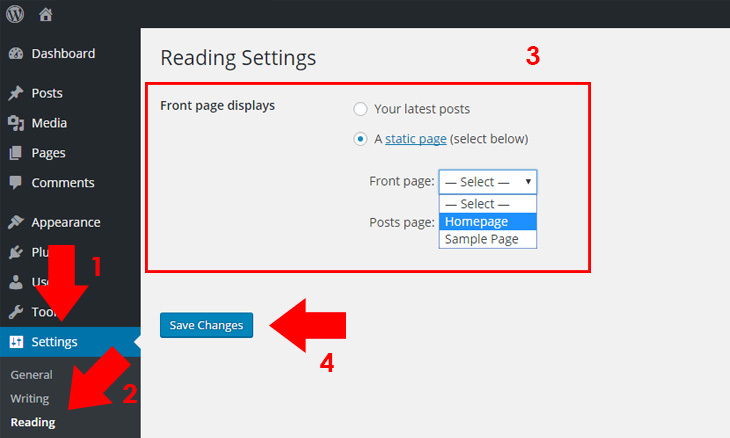 To activate your page as your frontpage/homepage, navigate to Settings Reading Front page displays. Choose A static page and select the homepage you have just created. Widgets are very important to WordPress. It is dynamically added on sidebar or even on homepage with lots of features on this theme. 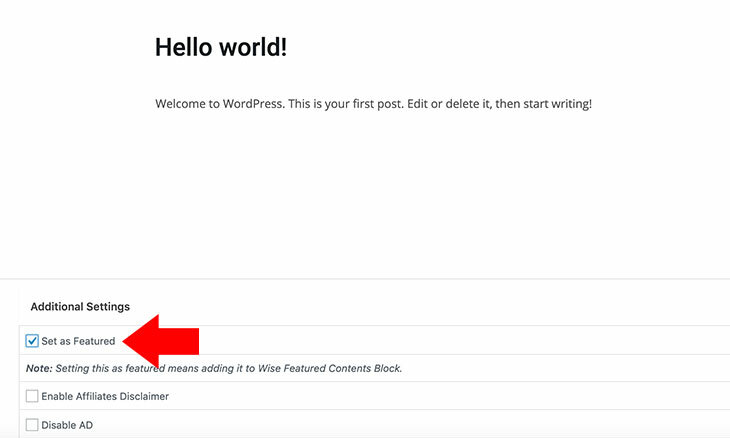 To add or delete widgets, please refer to our blog article, How to Add or Delete WordPress Widgets. Note: Links can be added by creating menus and assigning menus to Sitelinks Column 1 and Sitelinks Column 2. For tutorials about menus, please check out our blog article, How to Create WordPress Navigation Menu. You can also add unlimited sidebar/widget columns for your site using pages. To add widget column, follow the instructions below. Go to WordPress dashboard and navigate to Appearance Widgets. You can apply your created columns on pages by choosing Select Sidebar at the bottom of page text editor. Featured image is essential in any WordPress theme. Without this, single post won't have an image thumbnail and slider carousel won't display correctly. With this theme, the optimum size to be uploaded as featured image must be 730x438 pixels. To add featured image, follow the instructions below. Prepare your featured image to be uploaded with a size of 730x438 pixels. If you are in WordPress post editor, click Set featured image at the right bottom part of the editor. Click Select Files button to locate your featured image. Click Set featured image to set it up as the featured image of the post. Click Update or Publish to save your post. Featured contents are essential in every WordPress site. Using it will introduce the most important posts or articles within the site. With this theme, featured contents is just simple to activate with a simple configuration. To add featured contents for your homepage or pages, please follow the simple steps below. Add #Home - Featured Contents widget to the desired widget column. Add post IDs separated by a comma (format: 1, 2, 3) as shown in the screenshot below. 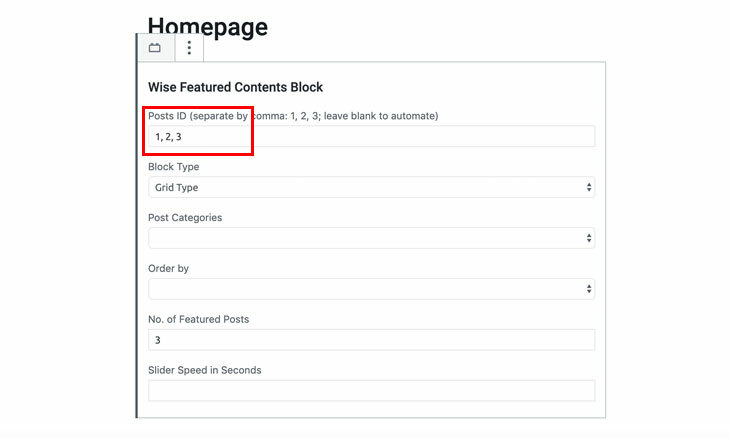 Note: If you want to automate featured contents on all categories of posts, leave the Post ID field blank, and to add items on featured contents, click Set as Featured for each post. If you use automate featured contents, you can skip this step. To find your post ID, click on the specific post and look for a numerical value on the URL as shown in the screenshot below. Click Save button to save your settings. This feature adds a disclaimer automatically to your individual posts or pages depending on your preferences. To configure and add disclaimer, please follow the instructions below. 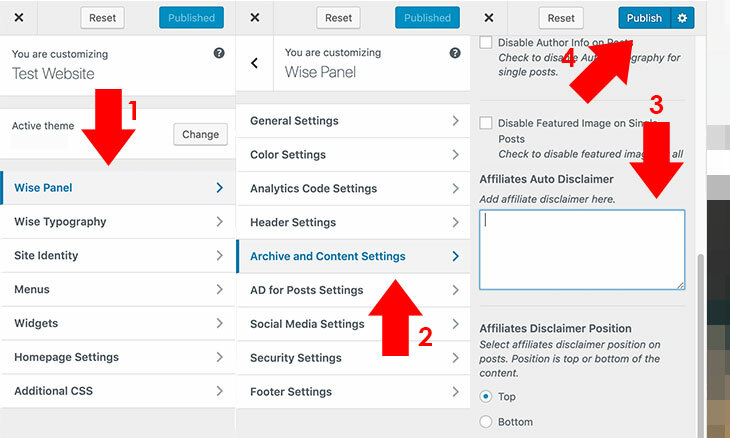 Go to Wise Panel by navigating to Appearance Wise Panel Archive and Content Settings. Add your disclaimer content on Affiliates Auto Disclaimer. Check Enable Affiliates Disclaimer to Top Posts if you want to display it on the top of your post. To activate your post or page to display affiliates disclaimer, check Enable Affiliates Disclaimer. Click Publish or Update button to save your settings. This theme is full-packed with features and one of its significant feature is to add Google Adsense or other third-party advertisement to your blog. This theme is fully-functional in terms of ad insertion on which you can enable or disable ads individually or based on your preferences. To add advertisement code/script and configure it on how it will be displayed, please follow the instructions below. To add ads code for single posts, follow the instructions below. 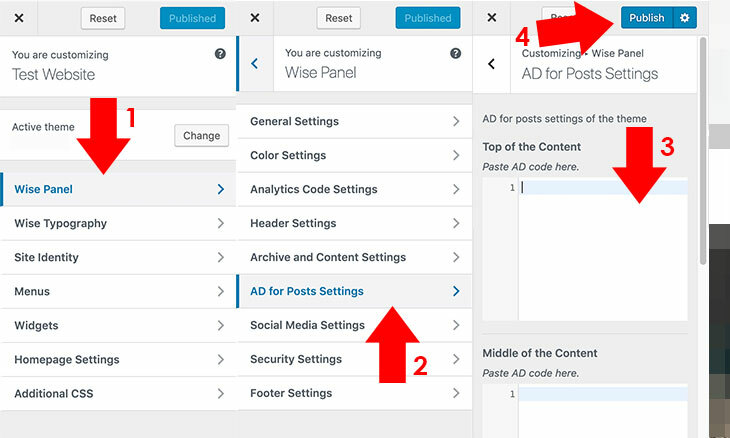 Go to your WordPress dashboard and navigate to Appearance Wise Panel Ads for Posts Settings. Add your advertisement code on each textarea where it is indicated which location it would appear. Click Save Changes to save your settings. To add ads code for homepage, sidebar, header or footer, follow the instructions below. Add #Wise Ads on the specified widget column. Add your ads code on the widget. You can disable each ads based on your preferences (disable from homepage, archive, posts or pages). Tips: If you are inserting ads on homepage or page with pagination, check Disable if Paginated. For Top or Botom Ads, Check if Used as Top/Bottom Ads. For sidebar, Check if Used in Sidebar. These will avoid responsive issues. You can also change the background color for Top and Bottom Ads. If you are using Top and Bottom Ads, you should use a Responsive Adsense code so that it will adapt on screen sizes. To enable or disable all advertisement within individual posts or pages, follow the instructions below. Go to your posts or pages interface to disable ads. Check the checkbox Disable Ads. Custom pages is an essential feature of WordPress where you can create a page which you can use as homepage or other usage based on your theme's functionality. To create custom pages follow instructions below. Go to a specific page you want to configure or create a new page. 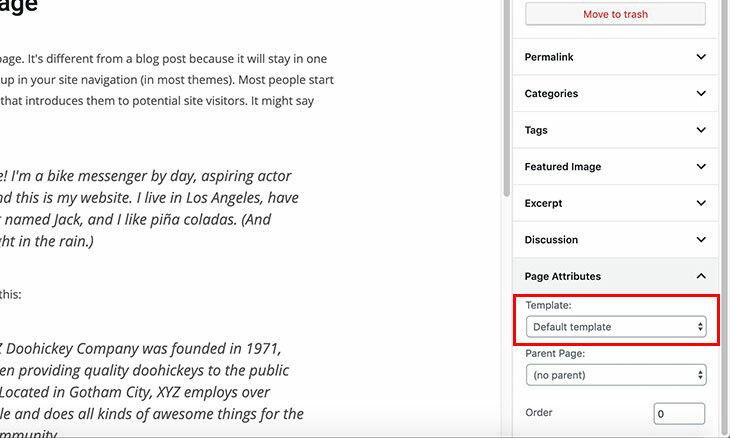 Navigate to Page Attributes, then select the desired page template from Templates section. This section covers posts or content tweaks which you can use to your blog/site. To align a blockquote to the left, right or center, you should add a class to it. Classes consists of alignleft, alignright and aligncenter. Contact Form 7 is one of the most popular contact form in the WordPress repository which this theme is compatible with. Adding contact form is just easy. To add contact form, please refer to our blog article, How to Add WordPress Contact Form. This theme also supports MailChimp for your subscription campaign. To add a subscribe form, please use #Wise Subscribe Sidebar or #Wise Subscribe Footer widgets. 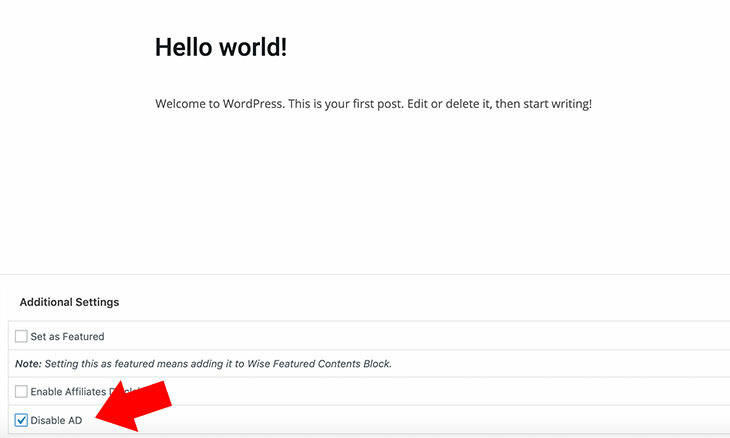 To add widgets, please refer to How to Add or Delete WordPress Widgets. 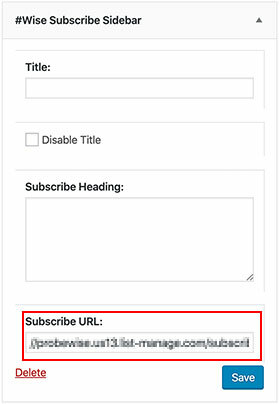 Using the Subscribe Form Widget, you can add URL from your MailChimp account. Navigate to Lists Signup forms Embedded forms. 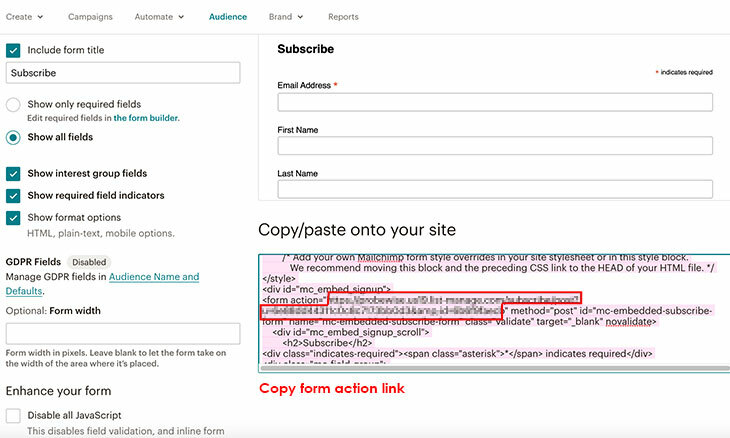 Copy the URL from <form action="URL from MailChimp"> tags as shown in the screenshot below. Paste the copied URL to Subscribe URL field as shown in the screenshot below. Your email newsletter subscription is now ready for campaign using MailChimp. You can opt to use Wise Script Widget if you want to embed the whole form from MailChimp or other mail campaign provider. Take note that its styling is different from the theme. Before importing demo contents, be sure you have a fast server having a proper credentials to avoid issues. There are some instances that you cannot import demo contents due to server issues, your hosting limitations, etc. which the theme is not responsible for it. You should have the latest version of the theme so that it would match the latest demo files online. You should use one click demo import from a fresh WordPress installed site to avoid duplication and other issues. You have to execute the demo import once to avoid duplication issues, unless there is an error (e.g. Error 500) or it doesn't import on the first time. For WooCommerce and other plugins, you need to configure some settings individually. To import demo content, follow the instructions below. You should first install the required and recommended plugins to avoid warnings and errors. You can find the list to be installed here. If you have installed the required and recommended plugins, install One Click Demo Import plugin. You can download and install it from the WordPress directory. For plugin installation tutorials, please refer to our blog article, How to Install Plugin for WordPress. After installing One Click Demo Import plugin, navigate to Appearance Import Demo Data. Click Import Demo Data and wait for a couple of minutes to finish. 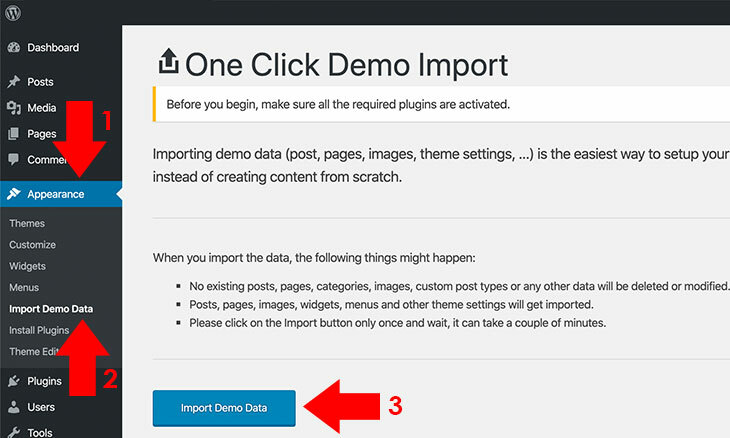 You may opt to deactivate demo content plugin after the import. This theme has a backup/restore feature for theme settings to avoid losing your current theme settings in case your site is down. Open your WordPress dashboard and navigate to Appearance Backup/Restore. Click Download as file to save your previous theme settings. File is named as wise-church-panel-backup-current-date.dat. To restore the settings, click Choose File and browse for your downloaded settings. Click Upload file to restore your previous settings. Not just theme settings is needed for backup, but widget is also necessary to be backed up to avoid losing homepage and sidebar widgets in place. To backup or restore widgets, please refer to our blog article, How to Avoid Losing WordPress Widgets. If you need to backup your WordPress site contents, WordPress has its own plugin (WordPress Importer) which exports contents in .xml format. Remember, this .xml backup is good when migrating a site to another, but media file and other attachment will not be restored if the source site is down. To include it even the source site is down, you should have an FTP backup of your site files, especially the attachment files from wp-contents uploads folder, and initially, it should be placed in the directory you want it to be restored. For .xml export and import instructions, please refer to our blog article, How to Export or Import XML WordPress Content. 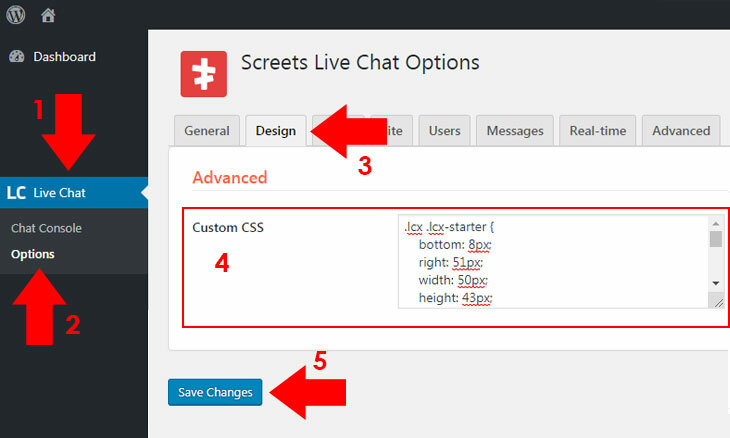 This theme is bundled with the one of the most popular WordPress chat plugin which is the WordPress Live Chat Plugin from Screets. To configure WordPress Live Chat Plugin, please refer to our blog article, WordPress Live Chat Plugin Review and Guide. To use theme's styling, copy and paste the CSS styling below to Live Chat Options Design Custom CSS. Wise Panel is the most advanced, lightweight and simplest theme options panel for this theme. It is created with simplicity for beginners and even advanced WordPress users will love. With its minimal approach, it makes users to configure the theme with freedom, being termed as "user-friendly." To navigate on Wise Panel, go to Appearance Wise Panel. To save your settings, click Save Changes. To reset your settings, click Warning: Reset, and use it with caution because it will remove all your configurations. This section is where you can configure the theme's general settings. It includes the following sub-sections with descriptions or instructions. Note: For upload instructions, please refer to The Upload/URL Method. To disable preloader, leave Preloader URL and Predefined Preloader blank. This theme uses 700+ Google fonts. Being unique, it dynamically enqueue fonts without using a lot of resources making your site faster. In this font settings, it includes the following sub-sections with descriptions or instructions. Note: Font weight for a specific font family will only work according to its compatibility. Say for example, Open Sans only supports a font weight of 300, 400, 600, 800. If you add 500, it will revert to its nearest font weight. For Google font weight compatibility visit Google Fonts. 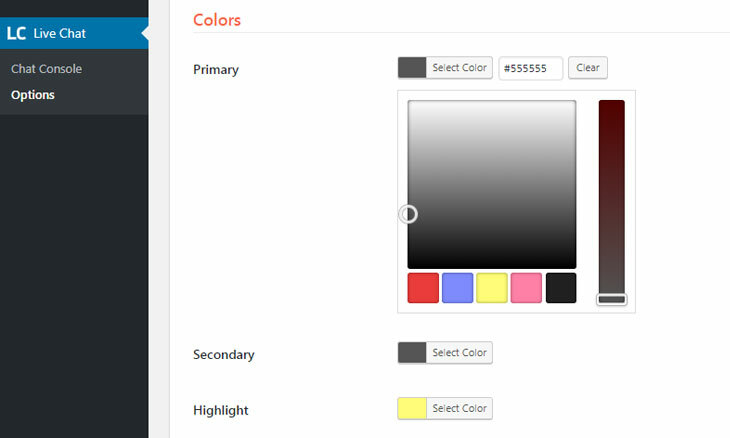 This section is where you can configure the color scheme of the theme. It includes the following sub-sections with descriptions or instructions. You can choose seven compatible predefined colors or choose your desired colors. This section is where you can configure the theme's SEO and code settings. It includes the following sub-sections with descriptions or instructions. This section is where you can configure the theme's header settings. It includes the following sub-sections with descriptions or instructions. If you are translating the theme, you should leave the title or any translatable text/textarea blank. There's no need to input your desired title/text on the field as long as you are using the translated file from .pot file provided on this theme. This section is where you can configure the theme's archive and content settings. It includes the following sub-sections with descriptions or instructions. This section is where you can configure the theme's ad code settings. It includes the following sub-sections with descriptions or instructions. Note: For a detailed guide on how to add and configure ads, please refer to Add and Configure Ads. This section is where you can configure the theme's social media settings. It includes the following sub-sections with descriptions or instructions. Note: Use only 7 social media icons. If you add more than 7, the theme's responsiveness and layout will break. This section is where you can configure the theme's security settings. It includes the following sub-sections with descriptions or instructions. Note: To obtain Google reCAPTCHA site key and secret key, please register from Google reCAPTCHA and generate a key for your site. This section is where you can configure the theme's WooCommerce settings. It includes the following sub-sections with descriptions or instructions. Note: If you have installed WooCommerce, pages are automatically created like Cart, Checkout, My Account and Shop. Change page template of Cart and Checkout to Page Single, Page Single 80% or Page Full, for My Account, you can create a new sidebar for by adding new widget column and inserting #Wise Dashboard User widget. For instructions to create new widget columns, please refer to Widget Column. For instructions in changing custom page template, please refer to 3.8 Changing Page Template. This section is where you can configure the theme's footer settings. It includes the following sub-sections with descriptions or instructions. This theme is created with passion to provide the best WordPress themes for all people. Its functionality, features and design was optimized through the plugins, sripts, images and fonts that we have used listed below. We are thankful to its author and developer who provides such useful components to come up with this awesome WordPress theme. Note: Please be reminded that demo images are not included within this theme. This theme was created with passion by its author. It is specifically designed to fit your project needs. 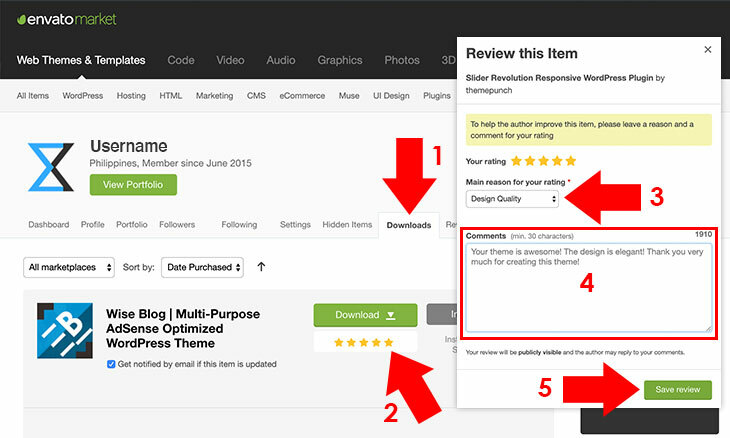 If you are happy with the theme, don't forget to provide your feedback on ThemeForest. This will help us to evaluate and improve the theme for your maximum satisfaction. Please follow the instructions below on how to add ratings on the theme. Login to your ThemeForest account. Go to Downloads and navigate to the item. Under Rate this item, hover your cursor until it reaches the desired rating. A window will pop up, you can choose Main reason for your rating and add your comments on the comments box. Thank you very much for being generous in providing your feedback for our theme! We're always passionate to provide the nicest service and wisest products for you.